Over the past summer, I had been playing a video game called Overcooked. This local co-op game takes place in a kitchen as you and up to three other friends run around in a kitchen trying to make dishes as fast as you can. Tasks can vary from chopping, cooking, dish placement, and delivering them to the window. If the plates come back, you will then need to take and wash them before reusing them. While it is a pretty straightforward concept, the crazy part is when they throw you into unrealistic stages. You first start off in a standard kitchen, but soon things start evolving you have to maneuver between separate moving food trucks, sliding around icebergs, running over lava pits, and floating through outer space. Scoring comes from the number of dishes you produce within a time limit. The best scores come when you have a good plan and teamwork, as you will need all your teammates doing their tasks to finish as many dishes as possible. This is a similar idea when it comes to parts in a computer. Everything has to work well together to actually have a good computer. On the other hand, there are obviously crucial parts like the processor or the video card, which will handle the brunt of the processing load. Fast storage and ample memory also helps. As for the power supply, I would argue that it actually ranks highly in terms of importance. It is synonymous to the heart of a person, as it pumps electricity around the whole computer to ensure everything has power to function. 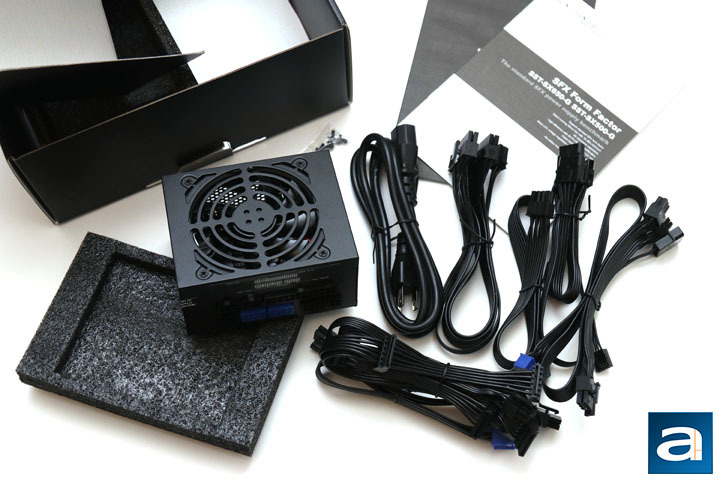 Today's review is of yet another small but mighty SilverStone SFX SX650-G 650W power supply. We have seen quite a few mini power supplies recently, and this one is no different. However, is it capable of pulling with the punches to deliver stable and reliable power? Hopefully today's report will shed some light into this topic, so read on to find out! 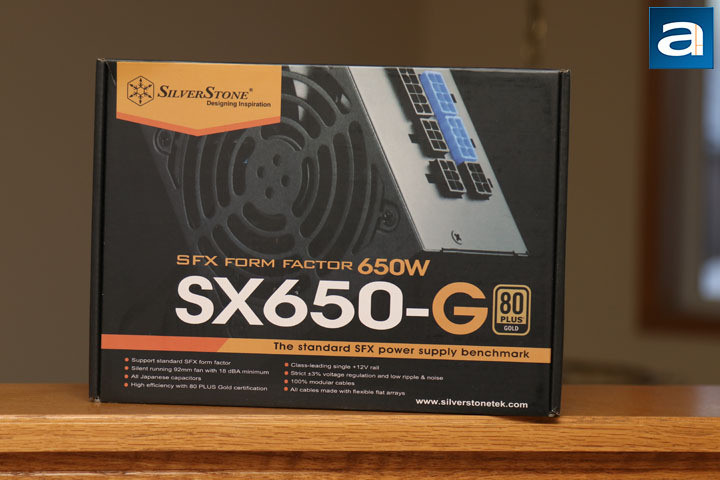 Today's review unit of the SilverStone SFX SX650-G 650W arrived via UPS and their Standard ground service. 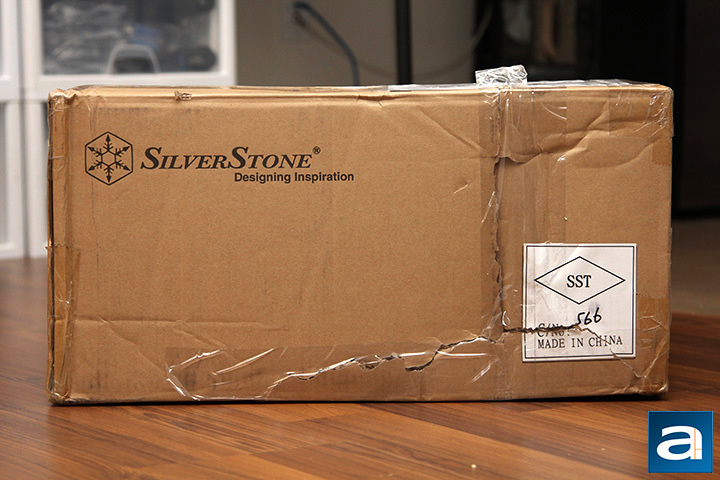 Traveling from SilverStone's offices in Chino, California, the box arrived in average condition with one large taped up hole on the side of the box. Thankfully, the contents inside were not harmed in the shipping of this container. In addition to today's SFX SX650-G 650W power supply, SilverStone sent us two more power supplies, the Strider Titanium ST1300-TI 1300W and SFX SX500-G 500W, which will be reviewed by Editor-in-Chief Jonathan Kwan and Technical Editor Hai Wang, respectively. We will see what those power supplies are like later on in the weeks to come. The SilverStone SFX SX650-G 650W comes in a pretty standard retail container. In typical SilverStone fashion, we have tons and tons of words and features on the front, side, and back of the power supply. The front shows off an image of the power supply, showing off its modular sockets and the 92mm fan on intake. Some other notable features include "All Japanese capacitors" and an 80 Plus Gold certification. This is the highest wattage power supply in this specific lineup. Other power supply wattages in the same series include 450W, 500W, and 600W, but only the 500W unit has the larger 92mm fan, while the other two use a smaller 80mm fan. Just to note, this power supply also comes with a three year warranty, which is a bit short in my opinion. I would expect at least five years of warranty, if not longer. Opening the box, there is a standard set of accessories included with the SilverStone SFX SX650-G 650W. The power supply is found in a plastic bag and held between two foam brackets to prevent any damage to the unit during transport. Two pieces of documentation are included with information about installation, warranty, and technical information. As this is a modular power supply, all of the cables are found inside too. This includes an AC power cable and all the connectors to the computer components. Unfortunately, there is no SFX to ATX bracket, which is a bit disappointing. SilverStone has their own separately available bracket, the PP08, if you need it.